Molly Napolitano » Is Facebook Good or Evil? Is Facebook Good or Evil? You can watch children grow up. You don’t have to live near each other to watch how quickly the little ones change. You can rekindle relationships with friends you haven’t seen or spoken to in years. You can find out important news (weddings, pregnancies, illnesses and even deaths). You can be reminded of Birthdays. You can “go on vacation” with your friends and family. It gives bullies a platform to do just that—bully. Cyberbullying has caused a lot of heartache, including death. Bullies spread rumors and leave others out on purpose. They’re not nice and they love Facebook. All of your information is readily accessible to the public. Is there really such a thing as privacy anymore? “One way” friends are bad for you. You know who they are—you like their photos and make nice comments about their families and it’s never reciprocated. Well, guess what? They’re not really your friends so move on. It gives mean people a platform to spread their venom. And sadly, there are a lot of people listening. You can’t shred your photos. Luckily, I went to college back in the early 80’s so all the photos of crazy nights playing beer pong have either been shredded or are in a shoe box somewhere. Drunken photos today don’t disappear. A stalker could be watching your every move. Or worse, he could be watching your children. The non-stop requests to play stupid games. Enough said. Whining and complaining is rampant. And sadly, it’s contagious. Misery loves company. You don’t know who all your “friends” are. Every now and then, I get a message that someone has accepted my friend request. I often don’t know who that person is and how they got a friend request. Bad people know when you’re on vacation. If you’re posting during your holiday, it’s like sending bad guys a personal invitation to break into your house. It encourages narcissistic behavior. Facebook began as a platform to share photos. For some people, that means uploading a picture of themselves every single day so people can tell them how great they look. You know who these people are. Some of them even “photoshop” their pictures before posting so their teeth look whiter and their wrinkles are diminished. Really. It can cause jealousy. Some people feel bad about themselves when they see their friends getting promotions and going on vacations. The funny thing is that the “reality of life” that people see on Facebook is not very real. It wastes a huge amount of time. HUGE. It offers TMI. Some people feel the need to tell you every detail about their day, including what they’ve chosen to eat. This may not be classified as “evil” but do people really care about those things? It often takes the place of real, face-to-face friendships. There is nothing like sitting down to dinner with friends to enjoy a great conversation and a nice bottle of wine—without a phone in hand. We’ve become so tied to our phones that most people have difficulty doing this. 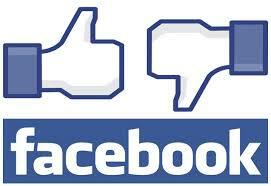 So, what do you think about Facebook? Does the GOOD outweigh the EVIL? Or should we all shut down our accounts? I would love to hear your thoughts. I used it when the kids were small so that I had some idea what they were up to. But one day I was berated by a “friend” because I didn’t respond supportively to a long diatribe about their marital problems. I responded, something I rarely do, and pointed out that there is no obligation to reply to posts. If someone wants my support, they know how to find me. Then I closed my Facebook account. Evil? I don’t know. But it has no important place in my life. And that’s a good thing. I remember when that happened and I don’t blame you for shutting it down. I’ve definitely cut way back in my use of it. Three hours per day? Wow…that’s all I can say. Wow. I un-friended 300 people last year because I realized these people are not my friends. I didn’t like them in high school and I don’t like them now. I don’t think facebook is a good thing for friendships in a lot of ways. I am on there to receive news, and to use it as a business tool, but not everyone needs to know my business. Too many people are posting photos all of the time and it’s narcissistic, as you mentioned. I am glad they seem to be doing so well and then you talk to them and you find out they are miserable which is a total contradiction to what they present. Now, almost a year after un-friending so many people, I have those same people asking me why we aren’t friends anymore. They are just figuring this out a year later! That says it all. And, I literally tell them, (no joke) are you really my friend? When was the last time I saw you? 1989? It’s a good point and I don’t care what they think. Thanks for your comment Holly. I think a lot of people feel the same way and more and more people are choosing to leave. My the way, I received the most gorgeous earrings that you designed for my Birthday. I love them 🙂 Thank you. .. I couldn’t catch up with you and your mom without it. As far as all the bad parts, I’m good at not reading things I have no interest in. Hope to see you this summer! Now, three years out of college I have to admit that I barely use Facebook personally. I feel that everyone should go through their friends and edit their lists, as well as re-establish privacy settings, because honestly I do not believe that it is going anywhere. Now that companies and even local communities are posting school news, township updates, etc it is wise to still keep your FaceBook but to moderate the usage of why you are using it. So I guess between believing that if it is good or evil I feel that it is neither… it is just part of our culture now. Being that it is part of our culture there are two sides that should be approached. 1. Recognize that young teens and adults are using this for social reasons and bullying etc should be an open topic. 2. Those that are no longer wanting to use it or need it as a social means, then narrow your friends and use it as community outreach. I love Facebook because I love keeping in touch with friends and family that do not live near me. I would never have the time to follow them, their travels and families it it weren’t for FB. The obsession people have with security and privacy always intriques me. I say, stay off the Internet then. I have nothing to hide. Just like in life, don’t let the little things bother you. If it is TMI or narcisstic comments, gloss over and move on. Focus on the fun and positive posts your friends are making. 1. You have to watch children grow up, otherwise you are antisocial. 2. Friends you haven’t seen or spoken to in years can rekindle relationships with you. 3. You get to find out every single “important” news , even if they are not important. 5. I can go on “vacation” with my friends and family. 1. It gives bullies a platform to do just that — bully. 2. All of your information is readily accessible to the public. 3. It gives mean people a platform to spread their venom. And sadly, there are a lot of people listening. 4. You can’t shred your photos. Drunken photos today don’t disappear. 5. A stalker could be watching your every move. Or worse, he could be watching your children.